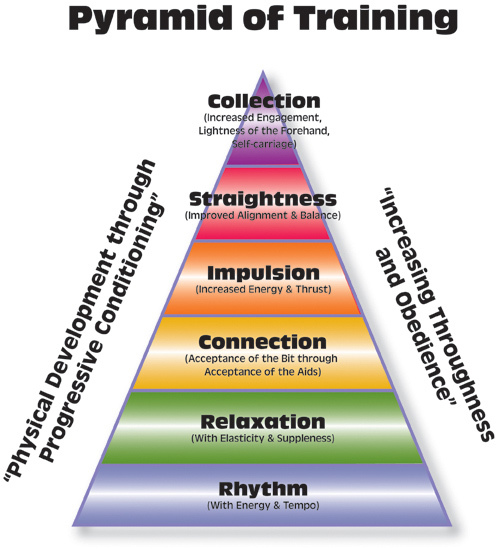 Pyramid Equestrian was born from the "Pyramid of Training". View the Pyramid on the USDF website. Like an ancient pyramid, it is important to build a solid foundation before it is possible to reach the top. This thought is the foundation of all horsemanship, in all disciplines, but is most often seen in the Dressage world. We pride ourselves on building a solid foundation for both horse and rider so that the upper level movements can be done with ease. Although our training and lesson programs are based on Dressage principles and theories, the proper position and foundation can be used to improve upon and enjoy any discipline, including jumping, trail riding, cross-country riding, western pleasure, reining, you name it! Allison grew up with a love of horses that didn't stop when it came time to go to college. She attended Lake Erie College in Painesville, OH and received a Bachelor's of Science degree in Equestrian Teacher/Trainer, graduating in 2001. Since then, Allison has been training horses and students of all levels, has competed in Eventing and more recently in Dressage. 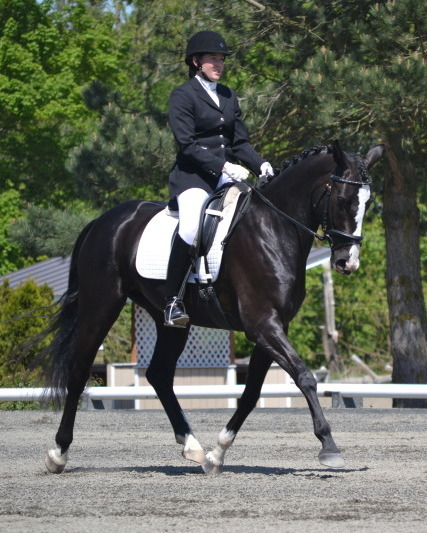 Her major Dressage instructional influences have been the late Deitrich Von Hoffgarten, Patricia Kabasa, Jeremy Steinberg, and Steve Kanikkeberg. She has also recently attended and continues to attend clinics with Conrad Schumacher, Henrik Johansen, George Williams, Jan Ebeling, Mike Osinski, and Arthur Kottas, as well as remote lessons with Courtney King-Dye. In 2004 Allison received her Large Animal Massage Practitioner license, which helped her become aware of biomechanics, muscle restrictions, and methods to relieve soreness. This has been especially beneficial in "problem" horses or those who have had poor training. In 2011, Allison graduated "with distinction" from the USDF "L" judging education program. This allows her to judge at schooling shows and Pony Club/4-H events. She is currently pursuing the USEF "r" judging program. Although Allison is no longer actively competing in the jumper or eventing worlds, she still has a lot to teach those interested in jumping or improving their eventing scores. She has competed to the 3'9" height in jumpers, completed (and won) a full Training level 3-Day Event, competed in IHSA hunt seat flat and fences in college, and has trained young horses over fences. 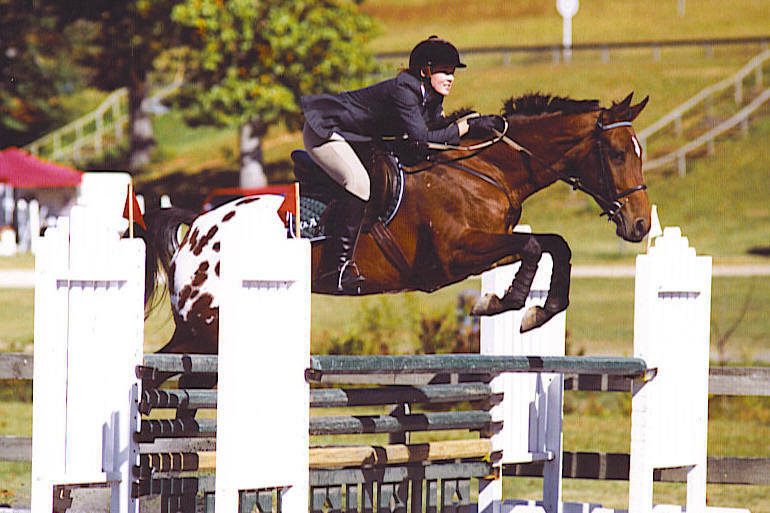 Allison completed her Pony Club C-3 rating before going to college, and attends the annual USPC Ratings and Standards clinics to keep up with the current changes to the USPC. Her current Pony Club students have competed successfully to the National Championship level.